Wanna know how much time I have in the morning to think about what I’m wearing (if it’s not gym clothes) before my kids start “needing things?” About negative 3 seconds. Before my feet touch the floor, it starts. Summer is lovely, but… no. Nevermind. Not going to do it. Not for one second going to complain. It’s busy and crazy and hot but it’s not winter and I love it. If I happen to be going somewhere other than the pool (swimming pool or carpool, that is) and I need to put on real people clothes, like say for a birthday party or … well, yeah that’s about the extent of my social life, (sigh)….. I’ve been relying on statement jewelry to bring a basic outfit up a notch. 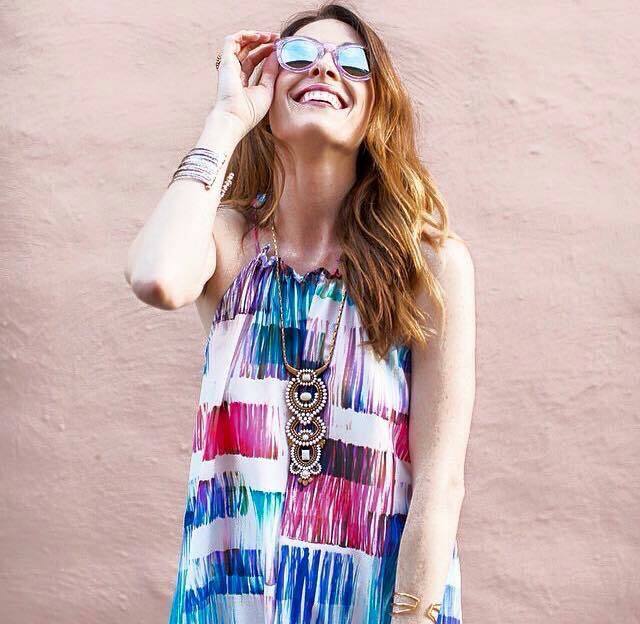 When we think of statement jewelry we often think of big, bold and colorful. 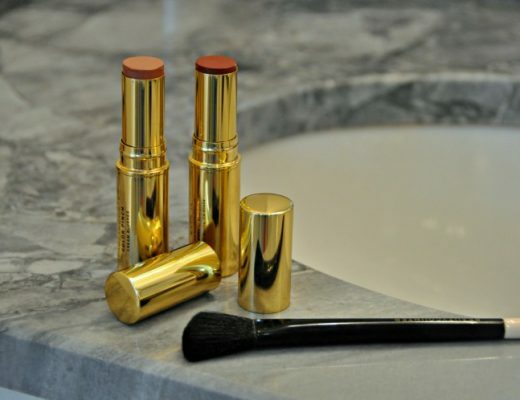 BUT a powerful neutral piece can provide that same pop – and be worn with just about anything! Without the jewels, this outfit is just Gap shorts (last year) and a Target t-shirt. But add the Havana Pendant (that can be worn multiple ways), some arm candy (this, this, and this – Renegade Cluster, Arrison Stretch and Voyager Cuff), and a knockout bag (Avalon Tote in Blush), and suddenly this mom looks like she had more than 30 seconds to think about her outfit. Okay, so negative 3 was an exaggeration, but am I right? I’m also loving a crisp white dress with neutral jewels – you know in the event that I get to step it up a notch from a birthday party to, oh say, a birthday party with adult beverages….. A girl can dream, right? 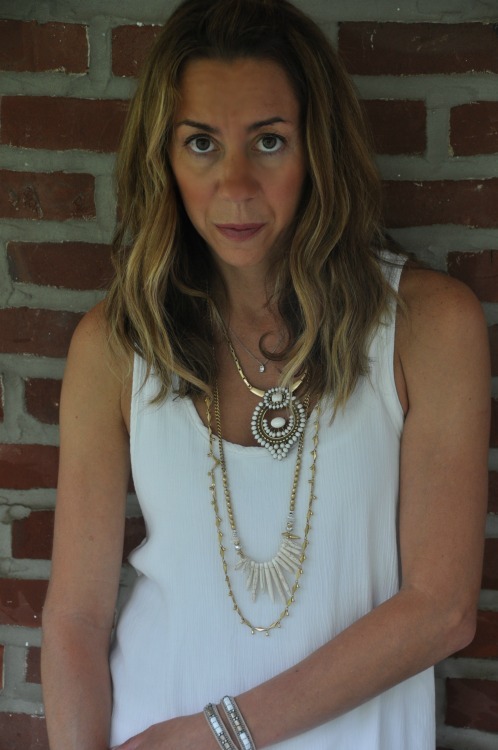 Here I am wearing this dress that I bought for Miami, with the Havana Pendant (shortened and with 2 pendants removed), along with the Zuni Layering Necklace (which can be worn several ways as well ) – and wait a minute, swoon, this necklace is – it is everything. I only have two of the three layers shown here – they can all be worn separately or together, and this leather wrap bracelet that is casual enough for everyday wear, yet edgy enough for night. 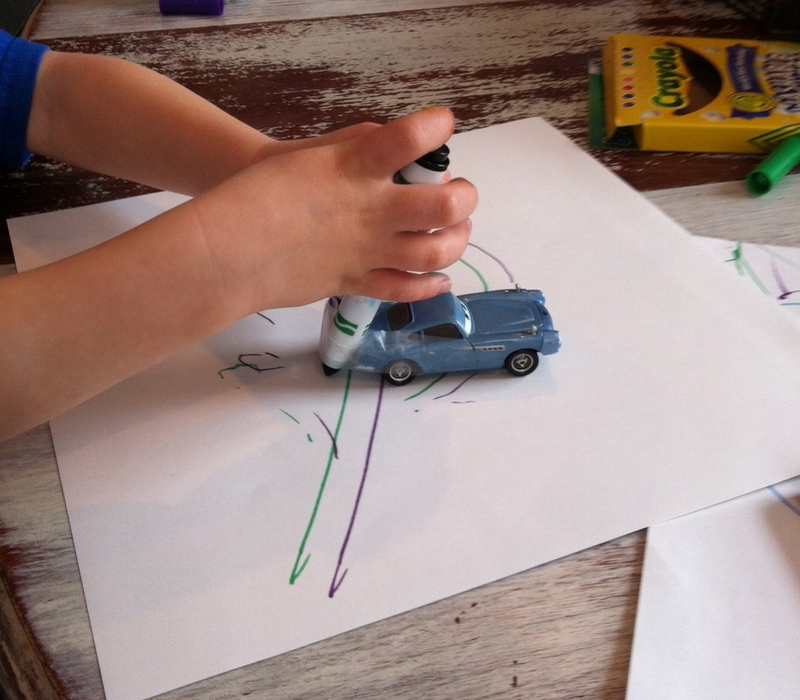 I had to add one more picture because my son took them and, well, he was very proud of his work. The glamorous life of a blogger…..i.e. “Hey mom why are you dressed up?” “Ummm (awkward pause) no reason. But can you come outside and take my picture?? ?” This is my oh-crap-don’t-touch-the-lens face. Ha. But for real, I did wear this out. 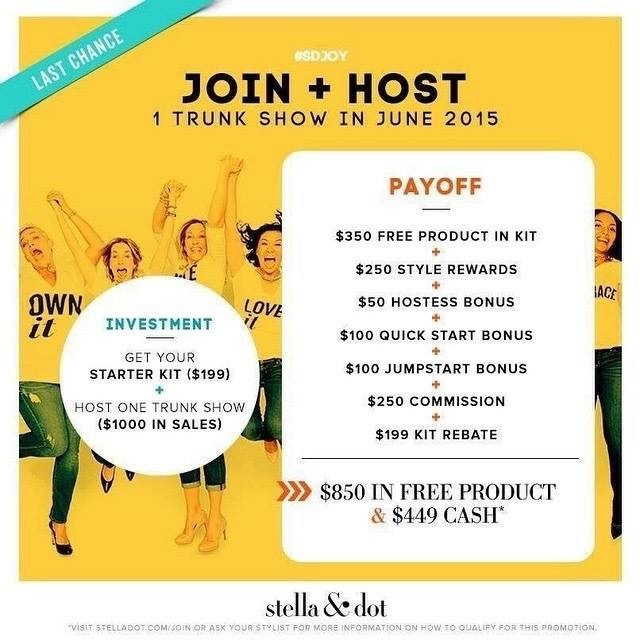 And I would be remise in not mentioning the following June special that Stella & Dot is offering this month! 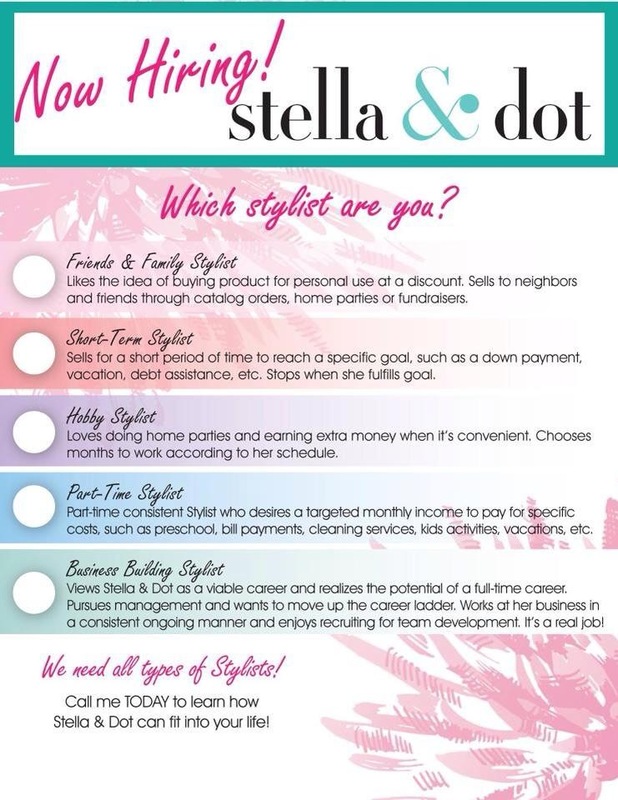 If you sign up as a Stylist with Stella & Dot between now and 6/30/15, you’ll receive a $199 rebate when you hit your Quickstart goal ($1000 in sales in the first 30 days)! That means you can earn back your Starter Kit and get hundreds in free accessories! Translation: you could potentially start your own business for free. Why become a Stella & Dot Stylist, you ask? No sales minimums, but sky is the limit! And are you ready for an amazing giveaway? If you email stylist Susannah Rinker at suzrinker@gmail.com to inquire about becoming a stylist, you are automatically entered to win the beautiful Havana Pendant as featured in with Anthropologie this month! Email away and don’t forget to mention this post! Good luck and feel free to share with a friend who might be interested in this opportunity. All emails must be sent by June 30th. This post was sponsored by Susannah Rinker of Stella & Dot. All opinions are my own. 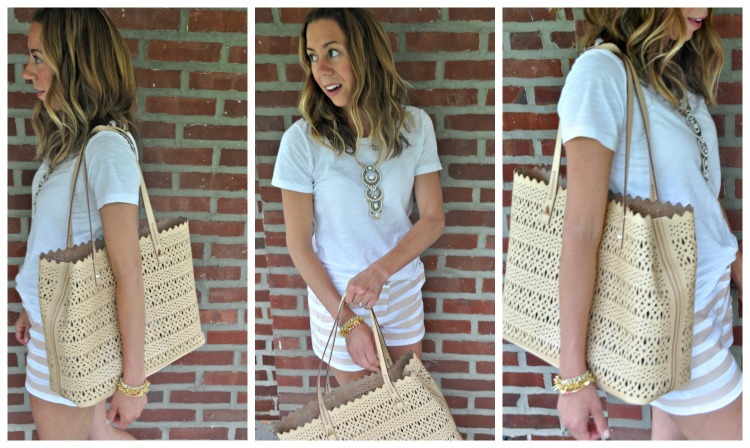 I heart stella & dot, wear it on air all the time! I want that necklace!! Be sure to email me to be entered into our giveaway! !